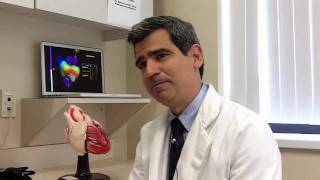 Dr. Rosero provides care for patients with cardiac arrhythmias including atrial fibrillation, and ventricular tachycardia. He performs ablation of complex arrhythmias including ventricular tachycardia and atrial fibrillation. Dr.Rosero is an expert in complete management of pacemakers, defibrillators, and resynchronization devices. He is board certified in Internal Medicine, Cardiovascular Disease and Clinical Cardiac Electrophysiology. 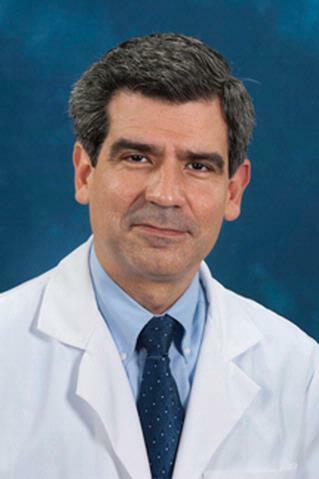 Dr. Spencer Z. Rosero is Associate Professor of Medicine and Director, Cardiology Clinical Research at the University of Rochester School of Medicine and Dentistry. He also serves as Clinical Director at the Center for Medical Technology and Innovation at the University of Rochester and is a member of the Heart Rhythm Society. He obtained his medical degree at the State University of New York SUNY Downstate College of Medicine in 1993, and completed his internal medicine, cardiology and electrophysiology training at the University of Rochester Medical Center. Dr. Rosero's research interests focuses on better understanding hereditary arrhythmias such as Long QT syndrome and on futuristic technologies that further the personalization of medicine . Dr. Rosero's interests includes the translation of medical device-machine acquired data into clinically relevant biomarkers, with a focus on quality of life.. He has several issued and pending patents in his field and is currently developing an implantable biosensor that uses living cells to provide real-time in-vivo monitoring of biological processes. Couderc JP, Beshaw C, Niu X, Serrano-Finetti E, Casas O, Pallas-Areny R, Rosero S, Zareba W. "The QT Scale: A Weight Scale Measuring the QTc Interval." Annals of noninvasive electrocardiology : the official journal of the International Society for Holter and Noninvasive Electrocardiology, Inc.. 2017 Jan 0; 22(1)Epub 2016 Jul 15. Biton Y, Huang DT, Goldenberg I, Rosero S, Moss AJ, Kutyifa V, McNitt S, Strasberg B, Zareba W, Barsheshet A. "Relationship between age and inappropriate implantable cardioverter-defibrillator therapy in MADIT-RIT (Multicenter Automatic Defibrillator Implantation Trial-Reduce Inappropriate Therapy)." Heart rhythm.. 2016 Apr 0; 13(4):888-93. Epub 2015 Dec 19. Reiffel JA, Camm AJ, Belardinelli L, Zeng D, Karwatowska-Prokopczuk E, Olmsted A, Zareba W, Rosero S, Kowey P. "The HARMONY Trial: Combined Ranolazine and Dronedarone in the Management of Paroxysmal Atrial Fibrillation: Mechanistic and Therapeutic Synergism." Circulation. Arrhythmia and electrophysiology.. 2015 Oct 0; 8(5):1048-56. Epub 2015 Jul 30. Author List: Daubert JP, Rosero SZ, Corsello A.